The Sun is the star at the center of the Solar System. A quite unfriendly place, it consists of hot plasma interwoven with magnetic fields. It has a diameter of about 1,392,000 km, about 109 times that of Earth. It's typically quite difficult to photograph it, but with specialized filters, you can take some pretty nifty photos. 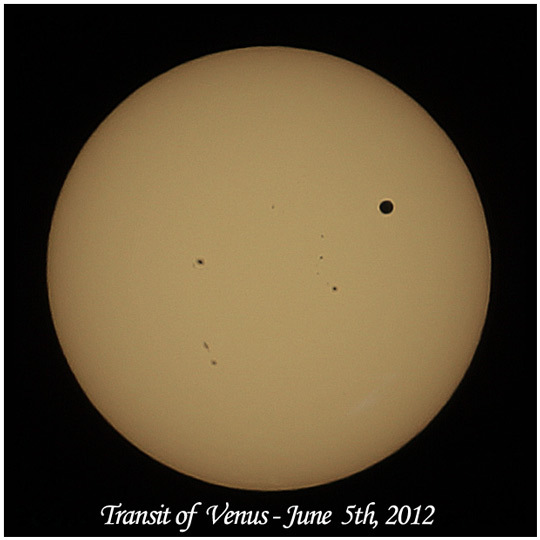 A "transit" occurs when a celestial body passes in front of another. A transit of Venus in front of the sun is relatively rare - a pair of transits a few years apart only every hundred years or so. I was on a business trip in San Francisco, so couldn't use the telescope, but the telephoto lens with some Baader film brought acceptable results. It's a stack of 8 photos at 1/1000th second, f/5.6 at ISO 100. View the full quality (3MB) version of the compilation photo above. 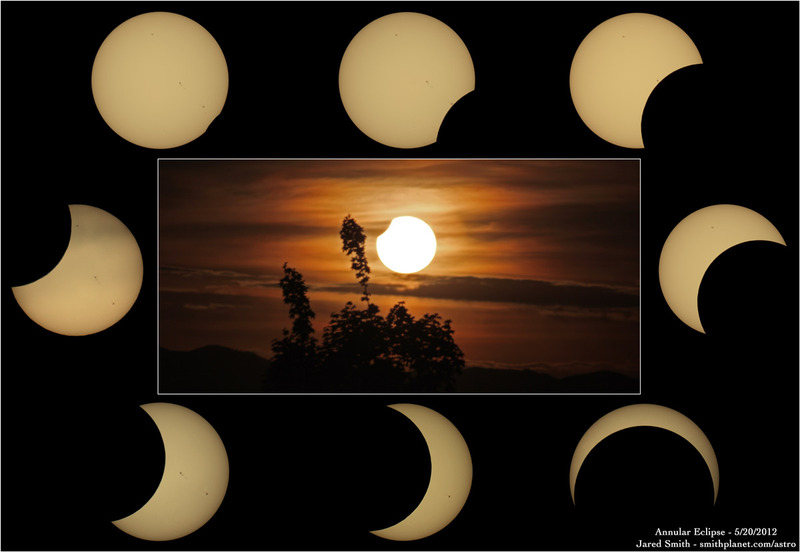 An annular solar eclipse occurs when the moon covers most of the disk of the sun. 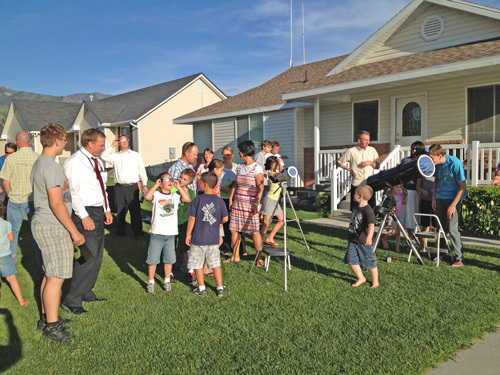 I threw a solar eclipse party and had about 200 people stop by to take a look. I even got a few nice photos. 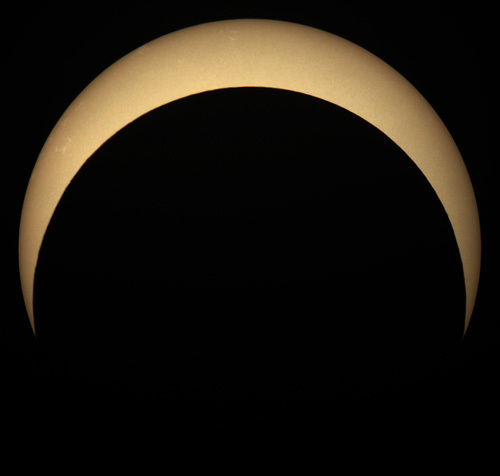 We had about 85% coverage here and very nice weather (though a few clouds right at sunset). 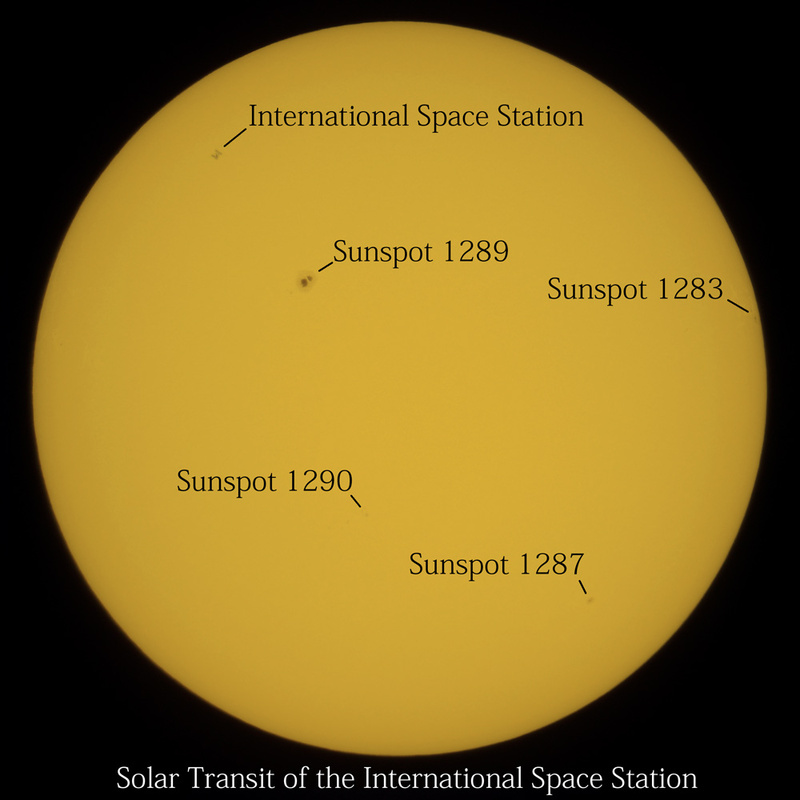 Several active sun spot regions made for some fun observing. 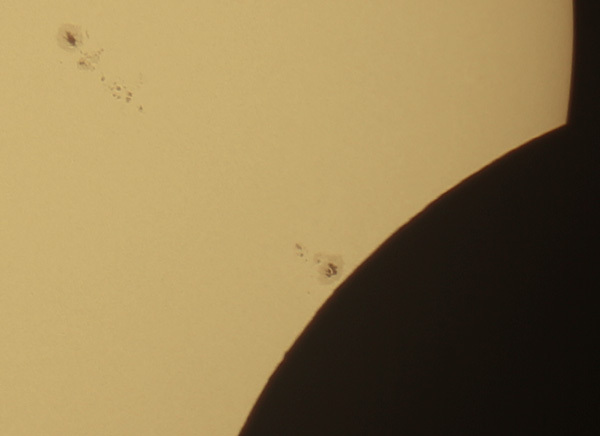 This crop of the photo above shows the sunspot details. The small bumps along the rough lunar arc are ridges and mountains on the moon. You could fit several planet Earths inside each of the large sunspots. 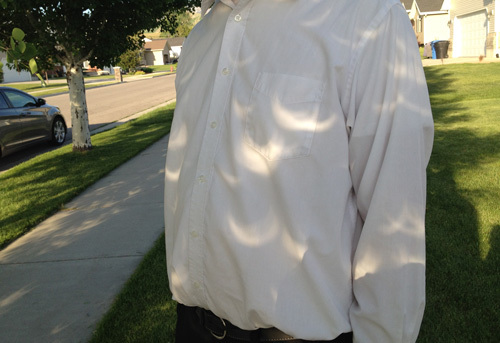 One of the neat effects of an eclipse is that shadows become more distinct with sharper edges. 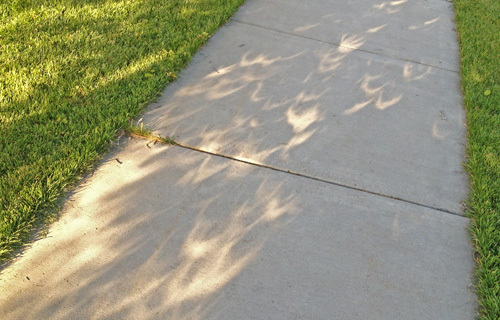 And tree leaves can make lots of pinhole cameras that project images of the eclipse in their shadows. The International Space Station travels around the Earth at a distance of 239 miles and a speed of 17000 miles per hour. At that speed and distance, it takes less than a second for the sun to cross the sun. 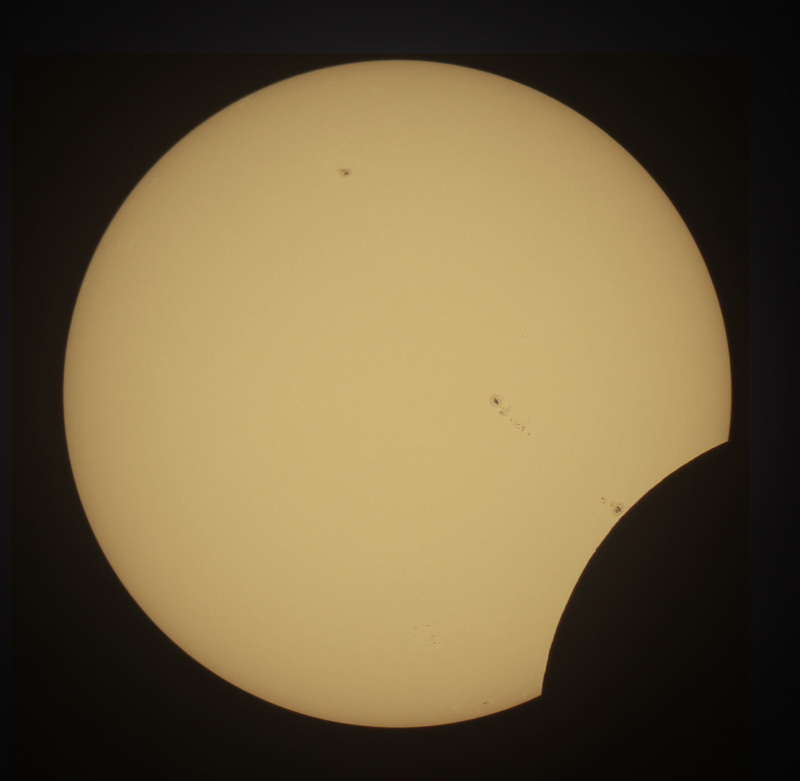 If you time it just right and are in the right place, you can photograph a solar transit. This is a single exposure of 1/4000th second captured by a Canon T2i through an 8" Newtonian telescope using Baader white light solar film (the yellow color is false). 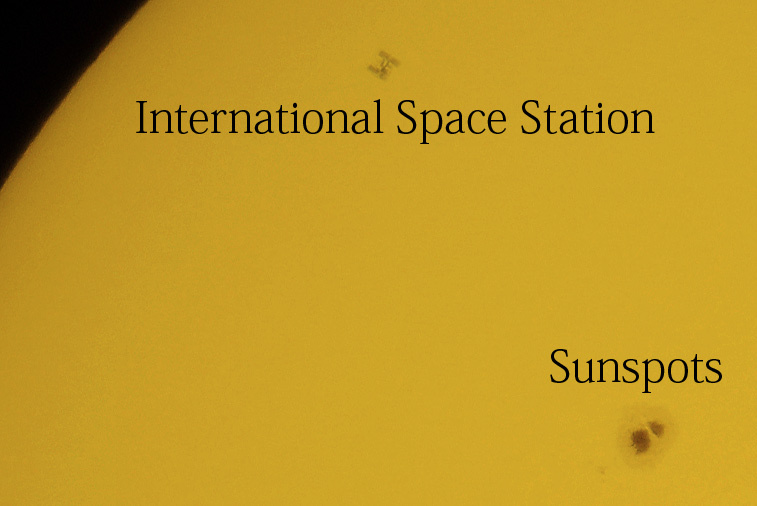 The sunspots in the photo are about the size of Earth. The sun goes through 11 year cycles of activity, ranging from virtually no activity (well, at least as far as fusion generating plasma balls go) to immense activity including sun spots and solar storms. 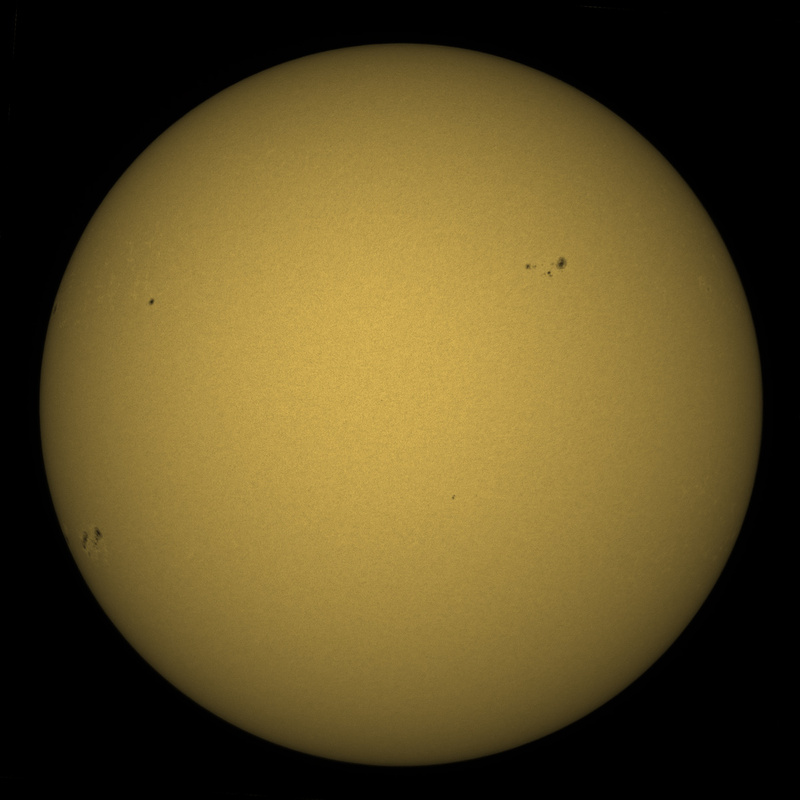 The sun is just ramping up its next active cycle. I just purchased some Baader Astro-solar film which allows you to safely photograph the sun. I got it installed just in time for the first clear afternoon in several weeks. It also happened to be one of the most active solar days in several years with many sunspots. Shortly after taking these photos, the large sunspot group at the far left exploded into a massive solar flare - a discharge of mass that interacted with Earth's atmosphere causing Aurora as far south as Minnesota and Idaho. 11 photos stacked in Iris. Color and tweaking in Photoshop.